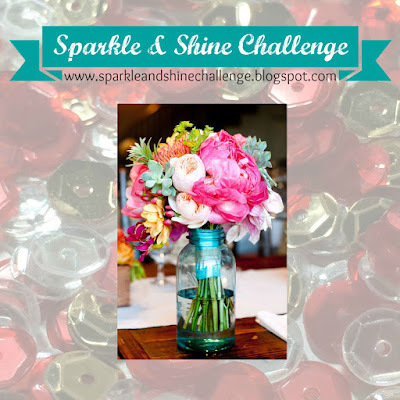 Playing along in a couple of challenges with this home decor that I made. I must give credit to my son for cutting the Celtic cross from wood. He makes all sorts of personalized items like outlines of states from pallet boards, corn hole games...ok you get the idea. 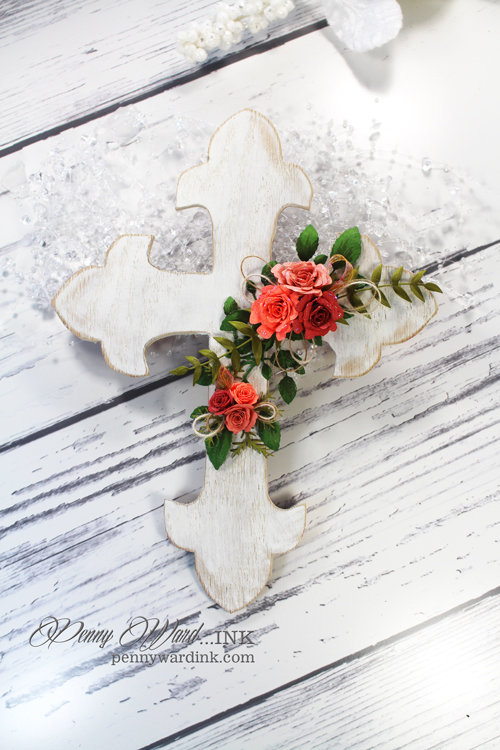 So I painted and sanded the cross, then started adding flowers and leaves. A little twine and pretty sheer ribbon were also added. The cross is about 12 inches tall (hard to tell the size in a picture) and it will sit on my new floating shelves as soon as hubby gets them done. Hi Penny... I came to see your cross (I love the flowers), and I wanted to view your profile after I read your name: we have a Penny Ward in town. You're not her :) but I love your Bichon!!! 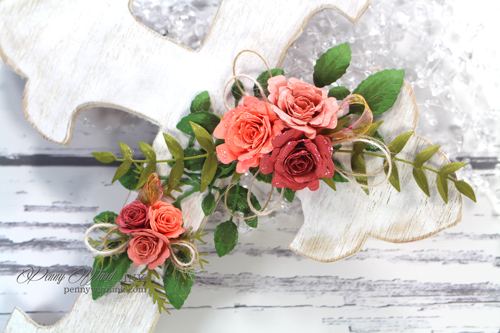 Your flowers are beautiful on this lovely cross!